Posted byCheryl Davidson	 April 7, 2014 1 Comment on Spring is Here! 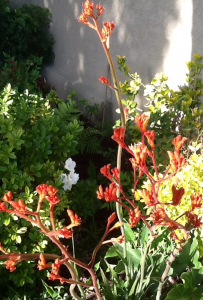 Spring has sprung in Southern California so let’s enjoy it before it quickly becomes summer. I love traveling through different neighborhoods and admiring people’s gardens. We are so fortunate in this area to have a climate that allows for incredible foliage and beautiful flowers practically year round. However, for me, the best time for incredible gardens is March through May. To that end, I’ve taken some pictures of gardens that are blooming locally. Now is a great time to walk through your local nursery and see what they have in stock. 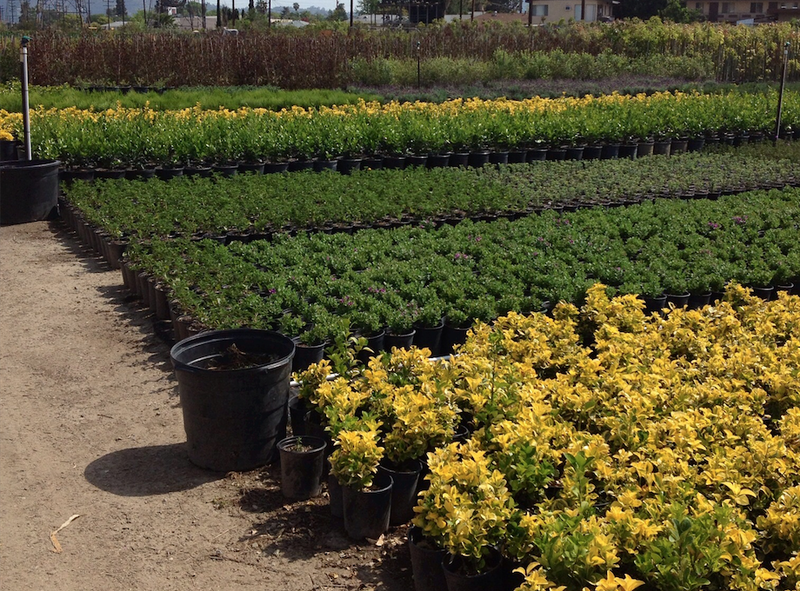 One of my favorite nurseries in Los Angeles is Vineland Nursery in North Hollywood. The guys there have great knowledge about plants and are quite helpful when it comes to building a garden. 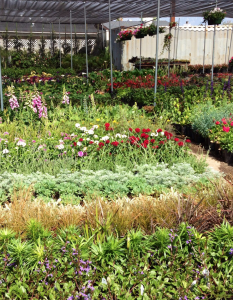 I go to them for many of my client’s gardens as they have a wonderful array of perennials, water-wise plants and great prices. 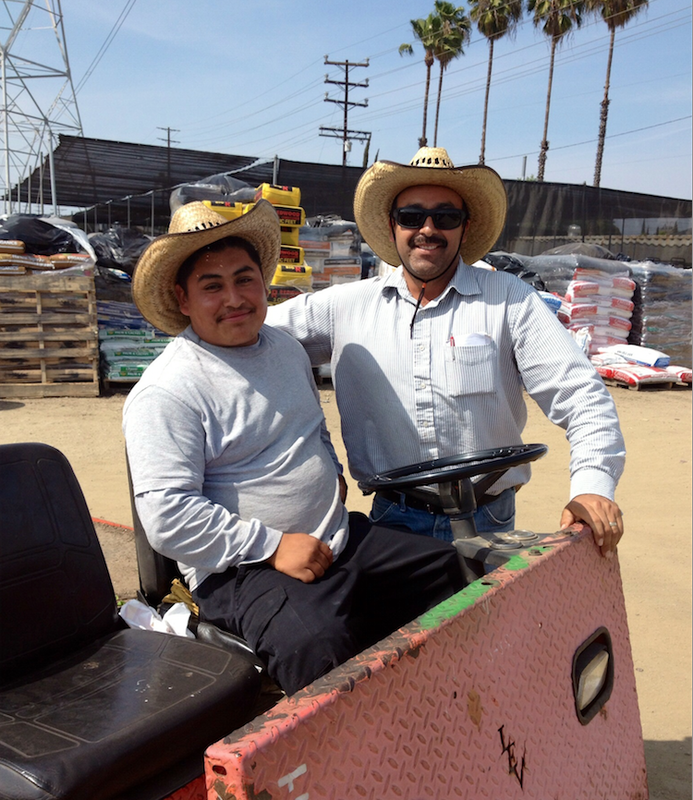 Say hello to Adolfo if you pay them a visit and tell him Cheryl sent you! 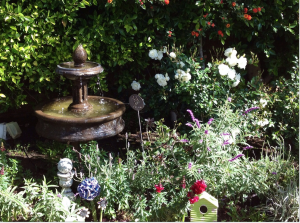 When selecting a color palette for one’s garden, I like to know what are some of my client’s favorite colors. In this situation, orange was the hands down choice for the pop of contrast to go with a medley of greens, whites and purples. 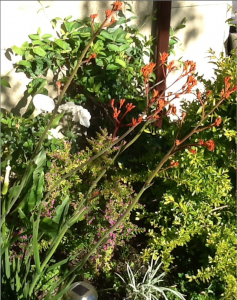 Below, you see amongst the Calla Lilies and white Iceberg Roses, a bevy of Kangaroo Paw. 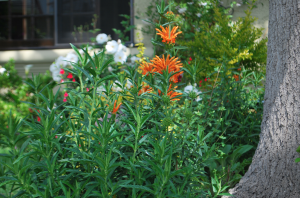 Another favorite orange expression is from none other than the Leonotis Leonurus or Lion’s Tail. 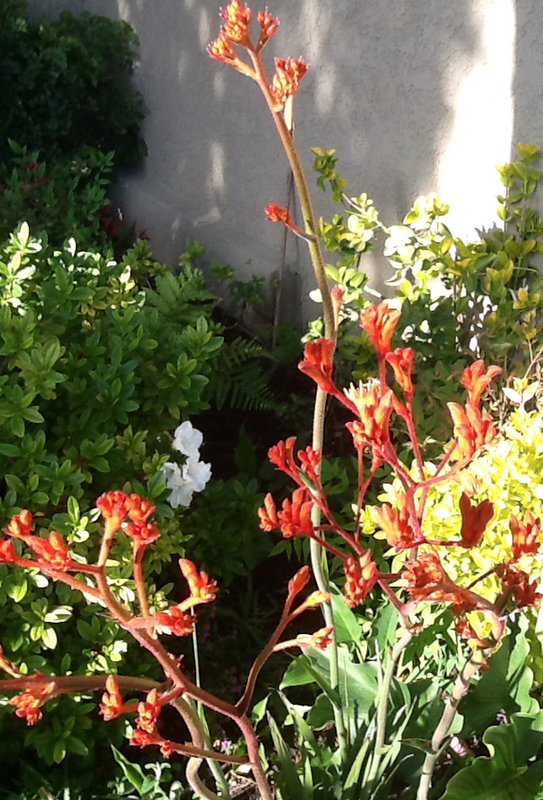 It is a wonderful perennial that loves the sun. 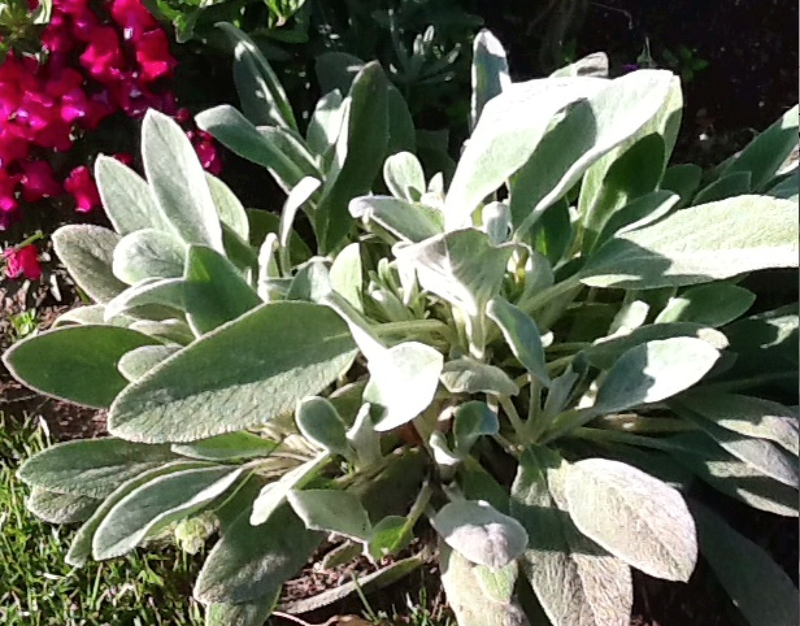 Lamb’s Ear, which originally hailed from Turkey and Iran, is member of the Stachys family.A perennial plant, it has a very soft grey or white coating of silky hairs. 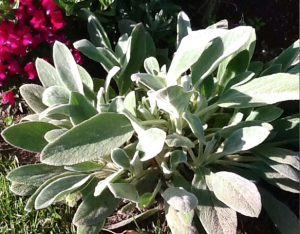 In some countries, it is used for medicinal purposes and in others, a nice border or edging. It grows profusely in all my gardens and I use it as a staple whenever I can. 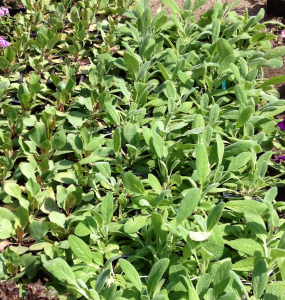 When it gets quite spread out, it can be separated and transplanted to other area of the garden that needs lush foliage. In Los Angeles, it is commonplace to find rows and rows of white Iceberg Roses blooming throughout the Spring and well into the Fall. While it is a shrub, it can be trained as a standard tree form too. 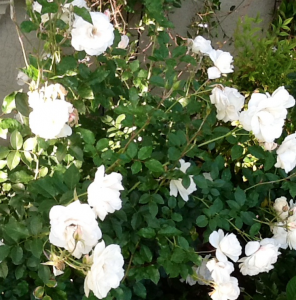 The Iceberg Rose comes from Germany and likes to be watered deeply and regularly. The three primary nutrients that these roses need are nitrogen, phosphorus and potassium. 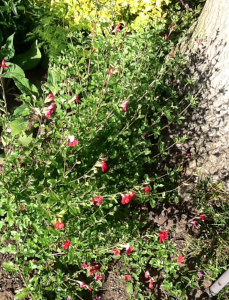 Hot Lips is part of the Salvia family and usually has two toned flowers. 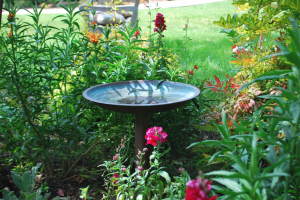 Hummingbirds and butterflies are quite attracted to the blooms that will appear continuously throughout even the hottest of summers. 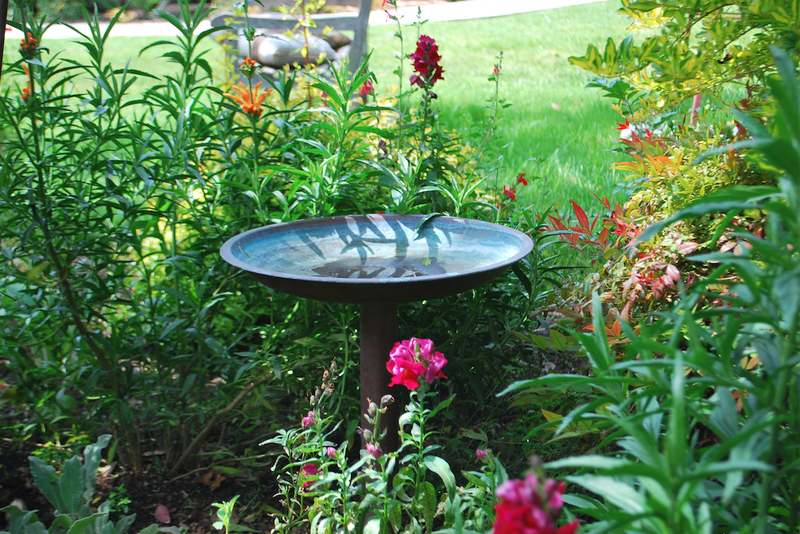 It is truly a carefree shrub for a water-wise garden. In addition to fantastic perennials, I’m always on the lookout for great annual color to spruce up a garden in the Fall and then again in the Spring. Lantana is another standard in many of the gardens I create for clients. I prefer the miniature version which grows low and spreads beautifully. Purple is my Lantana color of choice although I do like the white too! 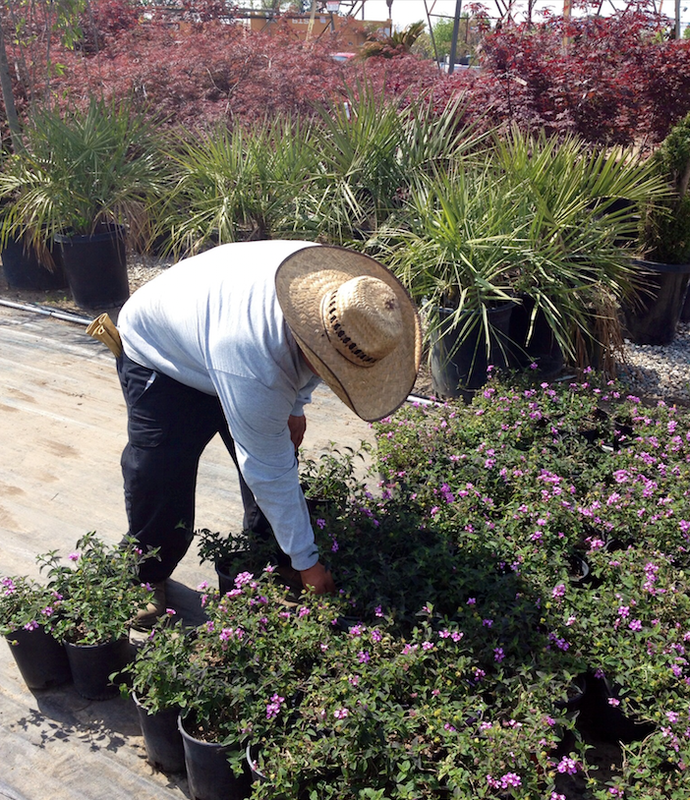 Here’s Adolfo picking out some nice one gallons for a recent backyard garden. Adolfo, left and the Boss Man on the right! This particular yard has it all….big sun, filtered sun and total shade. 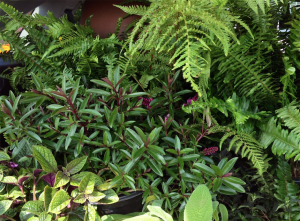 Ferns for the shade and purple Veronica for the sun! 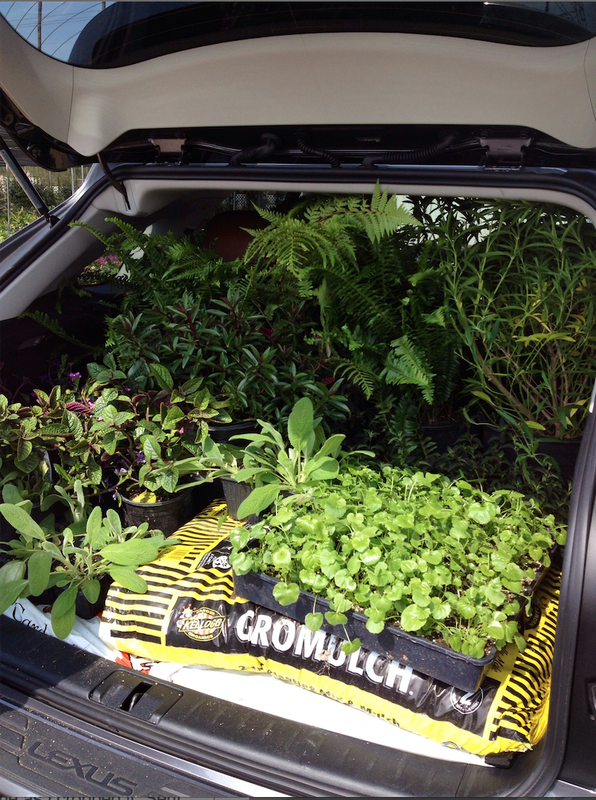 As much as I would love to downsize my car, I am always hauling plants, furniture or materials for projects. Just how much did I fit in this particular day? Let’s just say thank goodness for the middle row and the front seats and open sunroof too! Wonderful blog post, Cheryl. 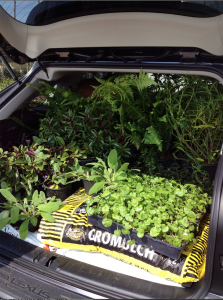 You are a walking encyclopedia of gardening.